After weeks of waiting around, writing covering letters and nervously sitting through interviews, you’ve finally done it – you’ve found a job in your chosen field and you’re ready to start. However, there is one hurdle left to overcome and it is a bugbear of a rather large size: negotiating salary. Graduates can often find themselves on uncertain ground when it comes to securing good compensation. A lack of experience coupled with high levels of competition often mean that new entrants are faced with a difficult dilemma – determining their worth. Equally, for many graduates, just getting the right job in the right industry – complete with the desired culture and growth opportunities – can often result in the salary becoming a second thought. A word of advice – you are generally in a much better position to negotiate salary AFTER you’ve been approached with a job offer. 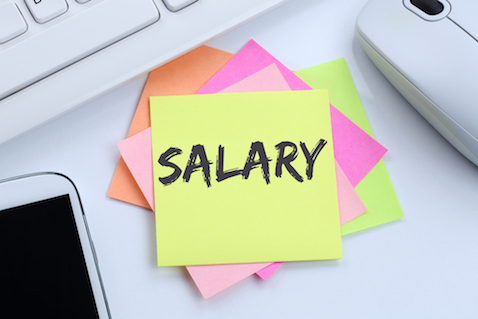 A good rule of thumb during interview is to only discuss salary if the employer brings it up. During the interview stage, you should be aiming to come across as being motivated by the job itself and developing your career path, rather than just being purely motivated by money. The first step to finding out what you’re worth, is discovering what similar roles are paying. Consult websites like Payscale.com to see average salaries in your country or Glassdoor, which also offers insight into salary. Also, look out for other job offers, or ask people you know in the industry what their experience is. Finally, consider the company’s size – can they afford what you are asking for? This preparation is important for when the employer broaches the subject of money, either during the interview or afterwards, in their formal job offer. When asked about what level of salary you’re looking for, it’s best to refer to a salary range rather than a specific figure – “Having researched the industry for similar roles, I would say between £X and £X would be a fair salary for this position” is generally an accepted response. What is the trajectory if I start in this position? What progression is on offer? How quickly can I expect to progress? How often will I be reviewed? If the opportunity for growth is sizable, consider a lower starting salary if you can afford it. If the salary is less than expected, think about what other perks are on offer. Can you work from home, or do you get free food while at work? Do you get health benefits? While lacking a concrete cost, these perks can soon add up. Remember that salary can be leveraged against things like experience, skills and what you’re able to bring to the table. Ask yourself: what makes you different and worthy of this salary? As an international student, do you have particular language skills? Do you have experience of markets overseas? Is your UK university renowned for delivering graduates in this particular industry? Think about anything that could make you stand out from the crowd. You may feel pressure from family and friends to take the first semi-relevant job that comes your way, but if the salary, perks and growth don’t match up to your expectations, you can walk away. Saying no is vital if you’re not happy because, regardless of career path, two years’ experience is mandatory in most graduate roles. Which means it’s a long time to be stuck somewhere you don’t enjoy. If you are still searching for your ideal role, why not register with us today?